18 Jan. By Evan Joanette, policy manager (competition and markets), Consumer Council for Water. The government and Ofwat have renewed calls for water retailers to engage more with small and medium enterprise (SME) customers, to attract them into the market. Complaints in the non-household water retail market hit a record high during the second quarter of 2018/19. 4 Dec. By Johanna Dow, chief executive, Business Stream. 26 Nov. By Stephen Black, managing director, Smarta Water. 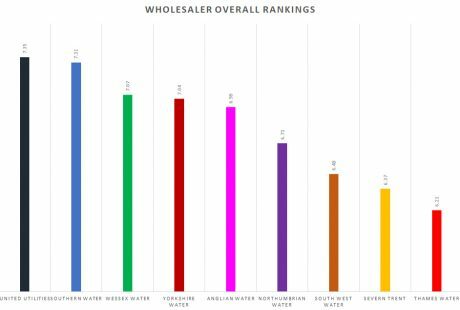 As the one-year mark approaches, Water.Retail has carried out an exclusive piece of research which asked retailers to score each of the nine largest English wholesalers out of 10 on 11 different criteria. The results are now in, and they make compulsory reading for all water market players. Download the full report here. 23 Mar. 15 min read.